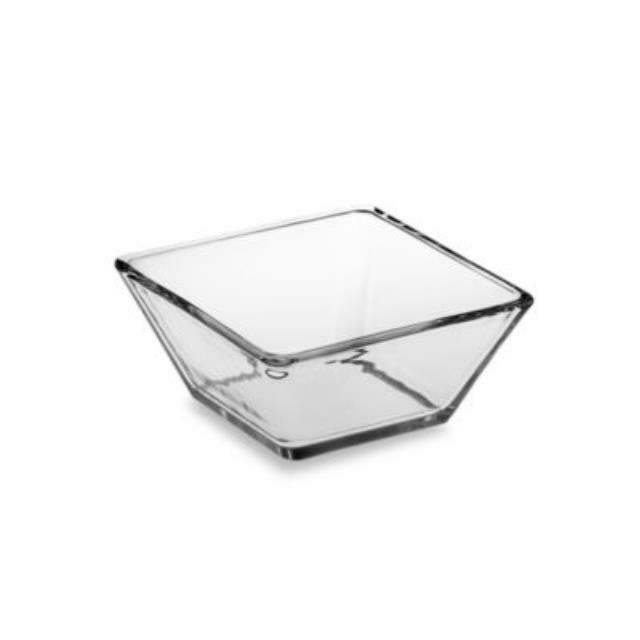 Clear glass dinnerware in square design. Bowl measures 4.75" wide and is rented in units of 5. * Please call us with any questions you may have about our square clear glass bowl unit/5 rentals/sales in State College, serving Central Pennsylvania.